The owner and administrator of the www.afit.si website is Afit d.o.o., Miren 129, Miren 5291. The website constitutes all pages that are part of the www.afit.si web address. The user of the website is any person who visits any of the webpages on the www.afit.si website (hereinafter: user). The user must follow these general terms and conditions. By using the www.afit.si website, the user accepts these general terms and conditions and states that they are aware of them and agree to them. The user can regularly check this page to see any changes that have been made to the general terms and conditions. As administrator of the www.afit.si website, Afit d.o.o. reserves the right to amend and update the general terms and conditions in accordance with applicable technical aspects and current legislation without giving prior notification to the users. All changes will be published on the www.afit.si website. All rights of all the www.afit.si webpages are reserved. All the information and materials, both in writing and in image form, on the www.afit.si webpages are, within the legally permitted scope, subject to copyright or other forms of intellectual property protection of Afit d.o.o. and its associated partners, whose content is published on the www.afit.si webpages. The user can use the content on the www.afit.si website solely for their personal use. All other forms of use of the content on the www.afit.si website are not permitted. The information and materials published on these webpages may not be copied, reproduced or otherwise disseminated for commercial purposes without the express written consent of Afit d.o.o. Afit d.o.o. can change the legal notice at any time and it is binding for users in every of its amended forms. The www.afit.si website contains materials that are protected under copyright law. Afit d.o.o. undertakes to respect and protect the confidentiality of the personal data of their website’s users. When a user browses the www.afit.si webpages, they are anonymous and the administrator does not collect their personal data. For statistical purposes, Afit d.o.o. reserves only the right to obtain the user data of website visitors from which no personal characteristics of the individual are obtainable. The premises where the website server is located is appropriately physically secured. The user can address any questions in relation to the protection of personal data on the www.afit.si website to info@afit.si. Afit d.o.o. shall use this collected data exclusively for the purpose for which it was submitted by the website user and in accordance with current legislation. Afit d.o.o. shall not forward data obtained by visiting the website to third parties. Afit d.o.o. shall not use the personal data and contact information for other purposes or disclose them to third parties without the express permission of the website user. Afit d.o.o. shall do everything in its power to protect users’ personal data from any type of violation or misuse. The www.afit.si website uses some cookies that are necessary for the website to function and some that are used to improve the user experience (e.g. storing user preferences), and some that are used to monitor visits to the website which help the administrator improve the website and the user’s experience. Users of the www.afit.si website can accept or decline cookies at any time. If a user does not want to accept cookies, they must change the settings of their browser so that all cookies are deleted from their computer’s hard drive or block them or choose to receive a warning before a cookie is stored on their hard drive. General, non-personal data (search engine users, number of visits, average website visit time, visited pages) is collected when visiting the www.afit.si website. This information is used by the administrator to measure the number of visits to the website and to improve content and functionality. User data is not subject to further processing and is not submitted to third parties. Any posts on the Ciciban or IMAC Shoes Slovenija Facebook page is a reflection of the author’s personal review and opinion, and does not represent the opinions of Afit d.o.o. We reserve the right to remove or change, without explanation and at our discretion, any post published on the Ciciban or IMAC Shoes Slovenija brand’s Facebook page that violates in any way the rights of others or is in any way illegal, offensive, shaming, vulgar or constitutes objectionable content. Afit d.o.o. is not responsible for the personal opinions, reviews or inappropriate content present on social networks such as Facebook, Instagram, Twitter, YouTube. The processing of data collected by participating in prize draws is governed by the rules on prize draws. All information and materials on the website www.afit.si are for the purposes of informing. Afit d.o.o. will endeavour to provide the most accurate and up-to-date information on its website, however, it does not assume any liability for their accuracy. All users of all the published content uses it at their own risk. Therefore neither Afit d.o.o. 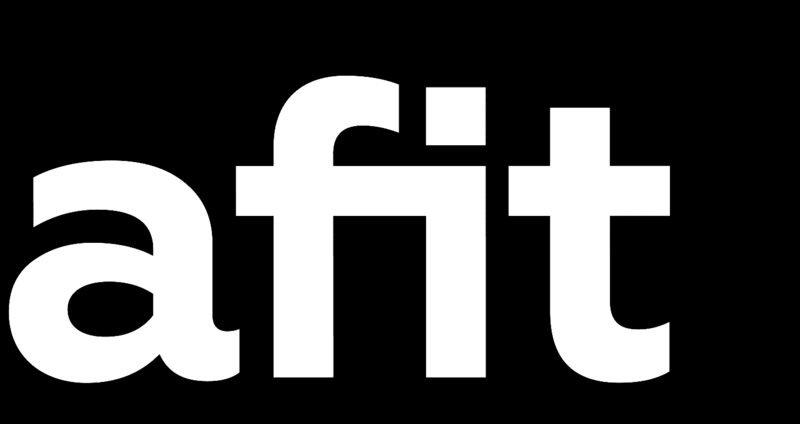 nor any other legal or natural person who has participated or is participating in the operating and creation of the www.afit.si website is not liable for any damage that may be incurred by accessing the content, using or the failure to use the information on this website or for any other errors or flaws in their content. Afit d.o.o. shall not be held liable for any potential damage (including damage caused by computer viruses) to computer equipment, mobile phones or any other applications that enable access to the www.afit.si website incurred by the user visiting the website or using it in any way. The company shall not be held liable for any damage of any kind that may occur due to the use or the inability to use the www.afit.si website. Afit d.o.o. retains the right to make changes to the content of the www.afit.si website at any time, in any way and regardless of the reasons, without prior notification, and does not assume any liability for any consequences of such changes. User’s rights, duration of data storage, etc. Upon the request of a user, the administrator can notify them whether any of their personal data has been stored. If the legal conditions are fulfilled, the user is entitled to amend, limit or delete this data. The user is also entitled to file a complaint with the supervision body for data protection (Information Commissioner). In the event of any questions or the filing of a complaint, the user can contact Afit d.o.o. at info@afit.si. Automatically collected data, described in Item 5, is processed and stored until it is no longer used for its purpose.